Located in the South Pacific, 700 km north-east of Sydney, the property is included administratively in New South Wales. The preserve includes some 75% of the land area of Lord Howe Island and all of the offshore islands and rocks of significant size in the region. These are the Admiralty Group; Mutton Bird and Sail Rock; Blackburn (Rabbit) Island; Gower Island; and Ball’s Pyramid, together with a number of small islands and rocks. The seaward boundary follows the mean high water mark and consequently excludes all littoral and marine areas. The entire island group has remarkable volcanic exposures not known elsewhere. 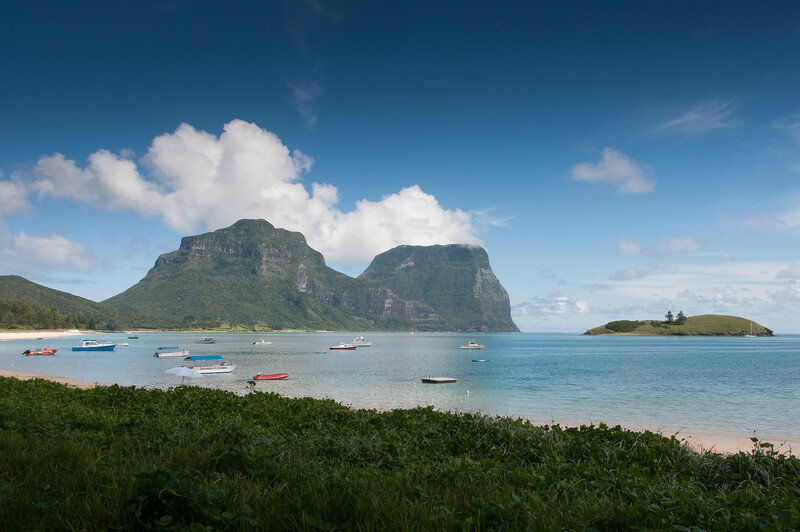 The main island of Lord Howe measures 10 km from north and south and is little more than 2 km in width. It roughly describes a crescent, enclosing a coral reef lagoon on its south-western side. The island’s topography is dominated by the southerly Mount Gower and Mount Lidgbird. Only a narrow isthmus of lowland country in the north-central part of the island is habitable. The northern tip consists of steep hillsides culminating in extensive sea cliffs against the northern coastline. Lord Howe is one of the truly special places on Earth. Located several hundred miles off the coast of Sydney, it is the southernmost coral reef in the world. The lagoon has excellent coal specimens along with turtles and stingrays. The island is home to 300 people and only 400 visitors are allowed on the island at any given time. It is a community where everyone knows everyone else and many people will tell you that they are a 6th or 7th generation islander when you meet them. The island has even taken the step of keeping cell towers off the island, so mobile phones can’t be used. As a result, you will see more phone booths on Lord Howe than you probably will in Sydney. The Lord Howe Islands Group is a natural UNESCO World Heritage Site in the Tasman Sea of Australia. It belongs to an unincorporated area of New South Wales and is governed by the Lord Howe Island Board. The island has a population of only 382; hence, the board regulates tourist visits to the island. In fact, no more than 400 tourists are allowed in the island at any given time (as of 2016). This site was added to the UNESCO list in 1982. The entire island protected by UNESCO measures at 14.55 square kilometers. The Lord Howe Islands Group is an irregularly crescent-shaped island along the Tasman Sea, which is right in between Australia and New Zealand. The island is approximately 10 kilometers long and up to 2 kilometers in width. Majority of the people who live in the island do so on the northern side of the island; meanwhile, the southern portion consists mostly of forested hills. This is also where the highest portion of the island is located in – Mount Gower. There are 28 islands, rocks and islets that comprise the Lord Howe Islands Group. The earliest record of the island sighting is in 1788. Eventually, this island became a popular port for the whaling industry. The settlement began to take place on the island in 1834. After the Second World War, the tourism industry started to develop. Officially, this group of islands is part of the state of New South Wales in Australia. 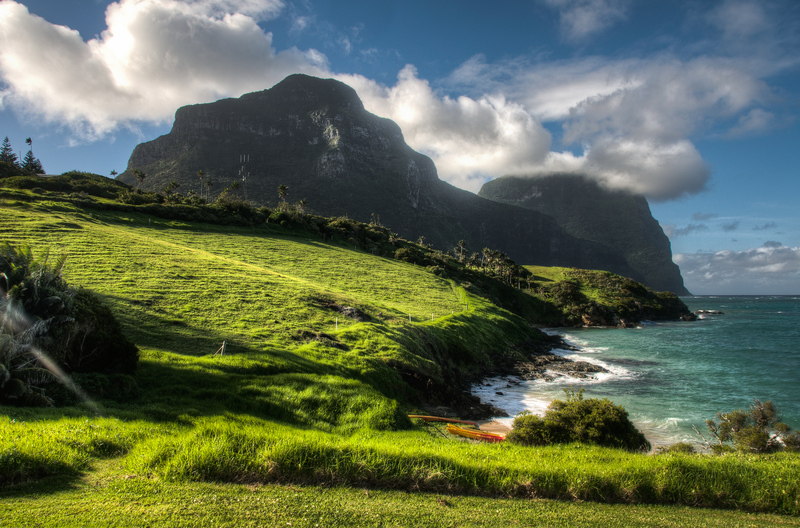 The Lord Howe Islands Group is considered a natural global significance by UNESCO. The forests in the island are considered untouched. Meanwhile, it is also known for its diversity in terms of the wildlife species that inhabit the island. The plants and animals that live on the island can be found nowhere else in the world. Hence, UNESCO designated it as a world heritage site to aid in its preservation. Aside from the diversity of plants and animals in the island, the diversity of landscape is also notable. Some parts of the islands feature oceanic basalt surface while some parts are noted as a site for nesting seabirds. The coral reef system in the Lord Howe Islands is also recognized as the southernmost barrier reef system in the world. Meanwhile, the surrounding waters of the island are included in the protected area. In fact, they are part of the Lord Howe Island Marine Park. The Lord Howe Islands Group is one of the most popular tourist attractions in Australia. If you want to visit this UNESCO site, there are plenty of ways to get here. You can take domestic flights from Sydney or Brisbane via Qantaslink. 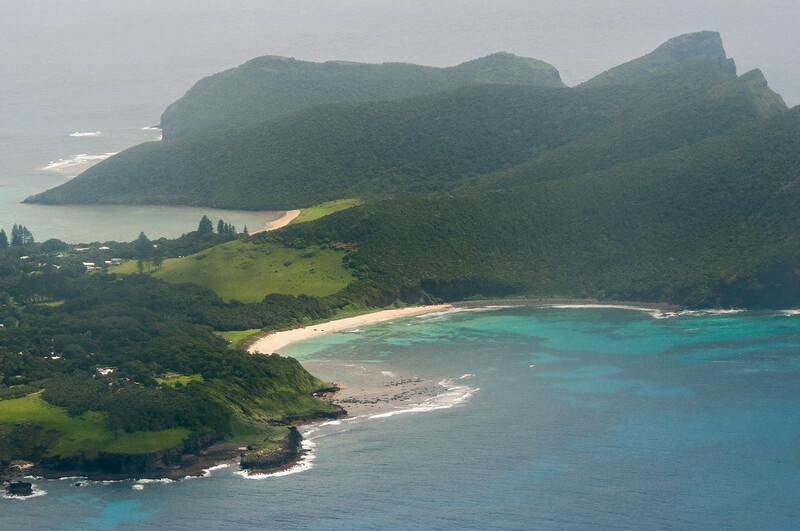 There are flights to Lord Howe Island throughout the year and especially on weekends. Meanwhile, seasonal services are also available via Port Macquarie from February to June and September to December. 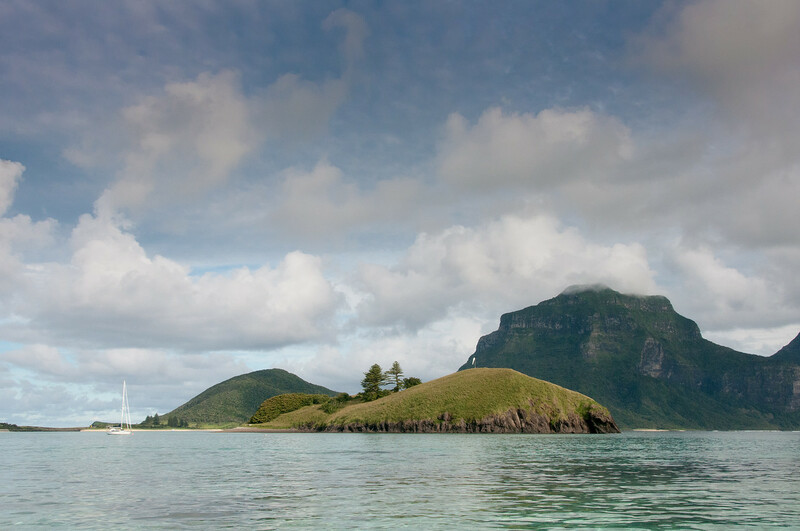 If you want a more adventurous ride, you can try sailing to Lord Howe Island (although a permit from the Lord Howe Island Board is required for that).